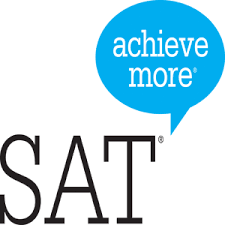 Students taking the SAT on October, 2018 at Westfield High School should plan to arrive between 7:30-7:45 AM. Testing instructions will begin promptly at 8:00 AM. Once instructions are completed and testing begins, the doors will be closed and you may not enter the room. Enter through Door #7 or Door #8, found on the east side of the building. Room assignments can be found in the link below and will be posted throughout the Cafeteria. Students should find their room assignments and go directly to their testing room. You absolutely will not be allowed into the testing rooms without those items. Be sure to bring plenty of #2 wooden pencils and a calculator. Mechanical pencils should not be used. Students may bring snacks and drinks for breaks. No food or drink can be consumed during testing. The use of cell phones, Apple watches, music players, or any other unauthorized devices is strictly prohibited. All devices will be collected by the Testing Room Proctor prior to taking the test. Consider leaving these items at home or in your car. For more information on what to expect on testing day, click on the “Taking the Test” link below.